The How Weird Street Faire takes place on Howard Street between 1st Street and New Montgomery, 2nd Street between Mission and Folsom, and all four blocks of Minna St. and Natoma St. off of 2nd Street. Also on Tehama Street off of 2nd Street. It is two blocks from the Montgomery BART station and Market Street, and near several MUNI lines. The new location is in the heart of San Francisco’s SoMa district, a short walk to Yerba Buena Gardens and the emerging museum district, as well as the Transbay Terminal and Caltrain Station. 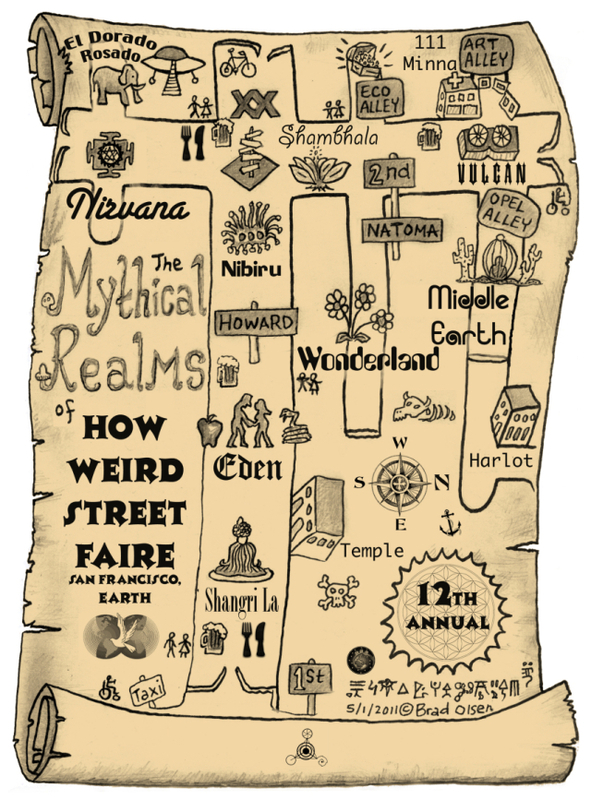 print the map at home and bring it with you to the faire.